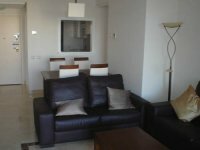 (Ref:RG014) On Roda Golf in Los Alcazares, Murcia and just 5 minutes to the beach is this very nice ground floor 2 bedroom apartment. 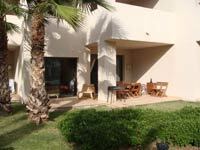 Set in lovely communal gardens and in a beautiful location is this lovely ground floor apartment at Roda Golf and Beach Resort. With the master... See details & gallery for this Apartment! 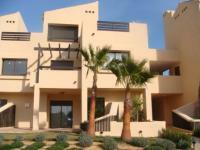 (Ref:RG041) Fabulous Roda Golf penthouse. 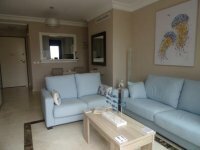 Furnished to a very high standard and in a great location, this really is a fabulous 2 bedroom, 2 bathroom penthouse apartment on Roda Golf. We believe that Roda Golf and Beach Resort is without doubt the nicest resort in Murcia... See details & gallery for this Apartment! (Ref:RG016) PRICE DRAMATICALLY REDUCED, THIS IS A FANTASTIC OPPORTUNITY, GREAT RENTAL POTENTIAL AND AT THIS PRICE AN EXCELLENT INVESTMENT, A lovely Ground floor 2 bed apartment in a great location, BEAUTIFULLY FURNISHED THROUGHOUT. PRICE REDUCED, LOVELY APARTMENT!!! THIS IS A... See details & gallery for this Apartment! 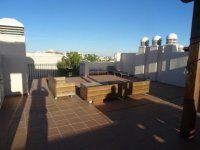 (Ref:RG031) GREAT LOCATION AND SUPERB VIEWS!! 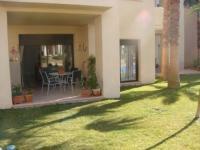 A superb 2 bedroom duplex apartment on the exclusive Roda Golf and Beach Resort in Los Alcazares, Murcia. 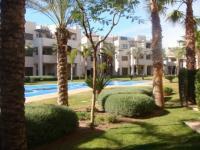 This luxury apartment is sold fully furnished and is located on the very exclusive phase 4 of Roda Golf. With amazing views over... See details & gallery for this Duplex! 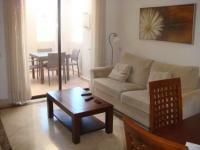 (Ref:RG005) A beautiful Roda Golf penthouse apartment in a very good West facing location. This Roda Golf penthouse has 3 bedrooms and comes with private rooftop solarium with superb kitchen and BBQ area, the solarium also enjoys many... See details & gallery for this Penthouse! (Ref:RG080) A beautiful Roda Golf penthouse apartment and a superb location for this 2 bedroom penthouse apartment on phase 3 of the exclsuive Roda Golf in Los Alcazares. South East facing and looking directly on to the communal swimming pool and gardens.... See details & gallery for this Penthouse! (Ref:RG019) PRICE DRAMATICALLY REDUCED!! Beautiful location for this stunning ground floor apartment at Roda Golf and Beach Resort. With the master bedroom and the lounge looking directly on to the fabulous communal gardens and stunning swimming pool, this really is a fabulous... See details & gallery for this Apartment! (Ref:RG020) WEST FACING GROUND FLOOR APARTMENT. LOCATED ON PHASE 2 JUST A SHORT WALK TO ALL AMENITIES IS THIS LOVELY GROUND FLOOR APARTMENT ON RODA GOLF IN LOS ALCAZARES. PRICE DRAMATICALLY REDUCED!! 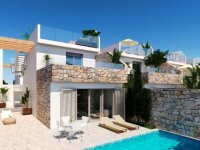 Beautiful location for this lovely ground floor apartment at Roda Golf and Beach... See details & gallery for this Apartment! (Ref:RG021) PRICE REDUCED!!! A very nice 2 bedroom penthouse apartment in an excellent location!!!!! 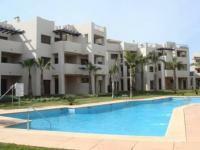 This is a lovely 2 bedroom penthouse apartment located on the fabulous gated 5 star resort of Roda Golf & Beach Resort. The penthouse has a lovely terrace off the lounge with... See details & gallery for this Penthouse! (Ref:RG027) WEST FACING GROUND FLOOR APARTMENT. LOCATED ON PHASE 2 JUST A SHORT WALK TO ALL AMENITIES IS THIS LOVELY GROUND FLOOR APARTMENT ON RODA GOLF IN LOS ALCAZARES. Beautiful location for this ground floor apartment at Roda Golf and Beach Resort. With the master bedroom and... See details & gallery for this Apartment!